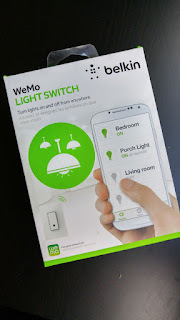 Android home automation iOS LED Smart LED Bulb wemo WeMo - Awesome Products, Bad App - Still Worth It! 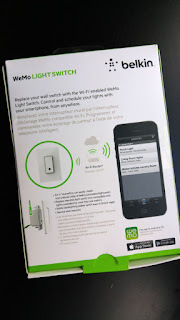 WeMo - Awesome Products, Bad App - Still Worth It! It didn't take long after the install before I realized this was not just a gimmick, but very functional and practical for me. I setup the WeMo Light Switch for my front door. 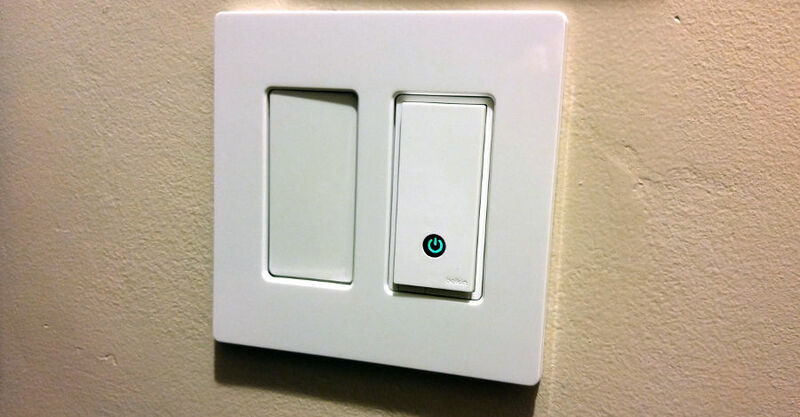 The existing switch would switch on both the light inside the home by the door, and the outside light. When we leave the outside light on for when we arrive home later, we end up with a ton of insects drawn to the light, and therefore they all end up coming into my home with us. Gross and annoying. Now, we can leave the light off, and from either my phone (Android) or my wife's phone (iPhone) we can remotely turn on the light just as we pull into our driveway, or as we walk up the sidewalk and approach the door. - Follow the instructions from the app. Eventually, it will work, and once you're connected, the app has been working just fine for me. 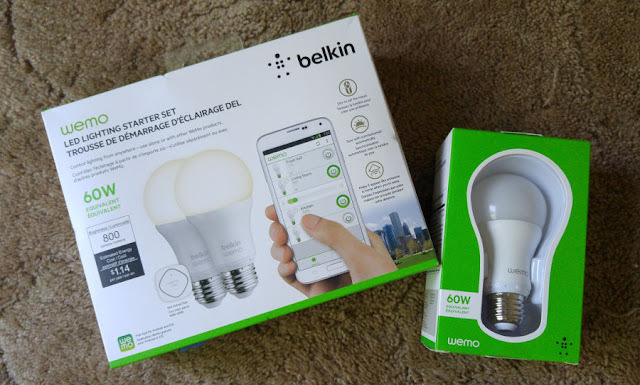 Next up, I was gifted by lovely wife the WeMo LED Lighting Starter Set, plus a couple of WeMo Smart LED Bulbs. It was my anniversary present - I'm spoiled! Since the WeMo app was already setup with the WeMo Light Switch, adding the controller and LED bulbs was easier - but not trouble free. Once again, when I went to add more products in the app, the app crashed on me a couple of times. I was prompt in sending in crash reports. After a successful attempt at adding the lights, they all showed up as Light 1, Light 2, and so on in the app. The app does allow you to rename each WeMo device to help you know which is which. You can also pair the lights together incase you want to control more than one at once. It's as easy as a drag-and-drop. The LED bulbs are bright! As shown on the box, these are the equivalent as a 60W bulb. Colour me impressed. I still remember LED lights coming to the market on Christmas trees, but those lights would just glow and not really provide any light to the room. That has certainly changed now! These LED bulbs also dim, which is very nice, especially the ones I have setup in the living room. It adds to the ambiance when watching TV, and reduces glare off the screen for me. If you're hoping these are like the Philips Hue lights, sorry, these do not change colours. Verdict? The WeMo products appear to be very good quality! Everything looks nice, doesn't appear to have cheap parts, and they're doing the job as intended! The app, however, looks dated, and crashes when setting up products. This applies to both the Android app, and the iOS version. Both are identical to each other by the way. I assumed Belkin had just ported over the iOS version. Keep an eye for a future article where I talk about controlling the WeMo devices with Tasker, AutoVoice, and IFTTT!